After installation of the SimuSage component library in your Delphi environment you will find a new tool palette that shows all components on the Delphi screen. The user can simply drag-and-drop the symbol in the right place, e.g. in the example below, equilibrium is calculated from two input streams. 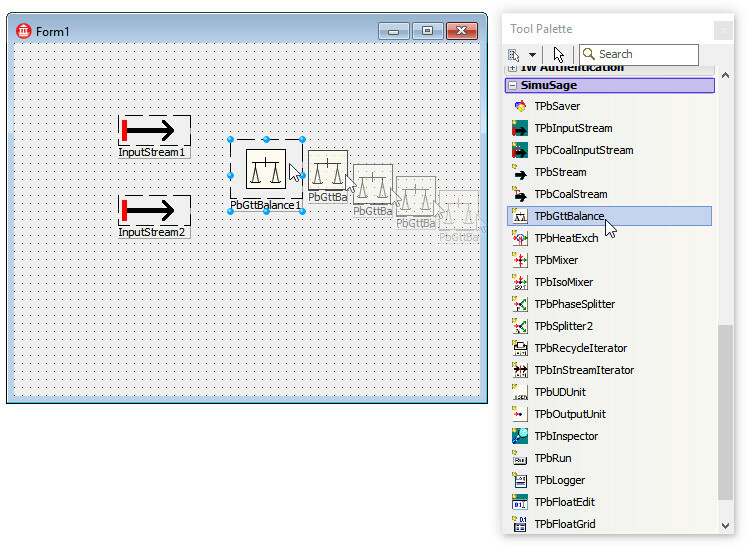 Figure 1: The SimuSage tool palette in Delphi. With this simple principle, you can built your process model by drag-and-drop of the icons that belong to the various SimuSage components. In the following a simple SimuSage model is shown, describing the whole process from raw iron to solid steel. In the model, three input streams (raw iron, additions for slag formation and alloying and the atmosphere) are inserted into the converter. In the phase splitter, the gas phase is removed and the liquid steel and slag are allowed to cool together in order to reduce the oxygen content in the steel. After that, the slag (and additionally formed gases) are removed and the liquid steel is cast. During casting heat is removed and the phase changes from liquid to solid. This is modelled as two steps, first the temperature is changed, then the equilibrium is calculated. The hot steel is further cooled to be able to monitor solid-state phase transformations. Figure 2: A simple process model of a steel mill in Delphi using SimuSage. While the model covers all important processes in the steel mill, it is not yet accurate enough: e.g. it assumes a global equilibrium in the whole converter, which is not the case. We have already assisted several customers in finding solutions for this by describing the converter not as a single global equilibrium, but as several local equilibria, with material flowing between them. Similarly, the cooling at the end of the process can be done in steps in order to describe changes in chemical composition of the liquid and solid phases during solidification. 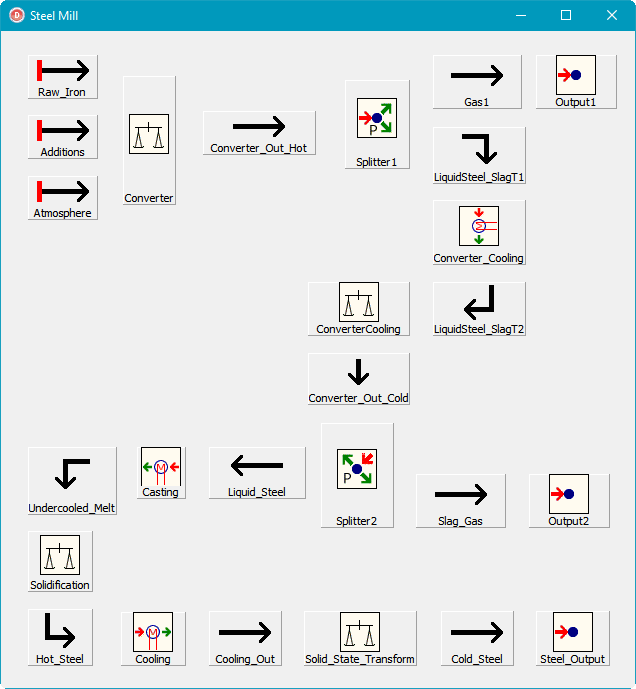 The results can be shown either in tabular form or by using the standard Delphi components available for graphical output. When the model is finished and tested you can “compile” it and thus generate a stand-alone program which is independent of Delphi but makes use of the ChemApp library. When you run it, standard or user-defined output is available to inspect the results of the simulation in every step. Read further to find out how to use databases in SimuSage!